What Cities Is Uber In? What Countries?- Find Out Here! Uber is in over 60 countries and 400 cities worldwide and growing month by month. Uber hasn’t actually made it in to all of the states in the U.S. which the country that founded Uber. Part of this reason is because of legal reasons. Many local cities and states don’t feel Uber is regulated enough and has banned them until agreements on new regulations come into play. You also have the war waging between Uber drivers and taxi drivers that causes expansions to slow down. Today, I just want to point you in the right direction on whether or not your city has Uber available in it. Below will be a list of all he cities and countries Uber is in divided up by the different areas of the world. You can find these same cities on Uber’s website but not as detailed. If you are located near any of these cities there is a good chance Uber will be in your city too. For example, When I say Uber is available in Boston this means that it’s available all the way to the north to New Hampshire’s borderline and all the way south to Nantucket. Since there are many cities and countries I tried to organize this list as best as possible. It’s even better organized than Uber’s list because they don’t name the countries, just the cities. The problem with naming only cities is the fact that there can be more than one city with the same name in different parts of the world and country. For example, There are over 20 cities in the U.S. alone that have been named Springfield. Scroll to the part of the world you are in. See if your city is on the list. Countries and cities are alphabetized. So, is Uber in your city? If you live in a city that has Uber and feel I should list the name just let me know. I want you to help me keep this list as up to date as possible. 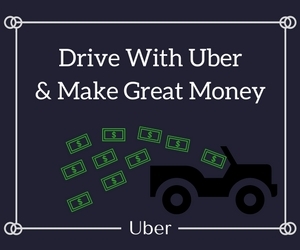 If Uber is available in your city, Check out how to become an Uber driver here. You’re missing San Luis Potosí in Mexico and Bradford in England. Can one pick up an uber at Marseilles airport to go to Joucas in Provence , about one hour drive?